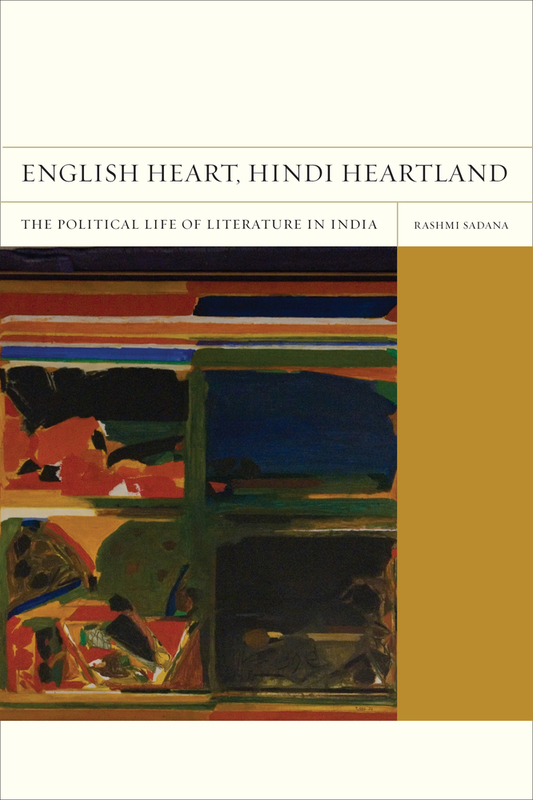 English Heart, Hindi Heartland examines Delhi’s postcolonial literary world—its institutions, prizes, publishers, writers, and translators, and the cultural geographies of key neighborhoods—in light of colonial histories and the globalization of English. 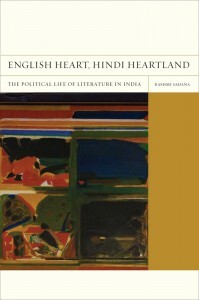 Rashmi Sadana places internationally recognized authors such as Salman Rushdie, Anita Desai, Vikram Seth, and Aravind Adiga in the context of debates within India about the politics of language and alongside other writers, including K. Satchidanandan, Shashi Deshpande, and Geetanjali Shree. 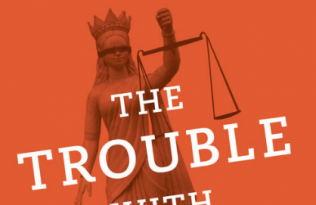 VD: You grew up in Los Angeles, studied in Berkeley and SOAS; it would be easy to imagine that you would become interested in Anglophone literature and explore its antecedents. What moved you to write on English and Hindi? RS: I had been exposed to Hindi through my family and relatives growing up and on visits to Delhi, and was always aware that if I had been growing up in India rather than in the U.S. I would have had a much more naturally multilingual life. I think that prompted me to take Hindi as an undergraduate at Berkeley, and then in my last year of college, I took a course on Indian women writers where most of what we read was in translation, not only from Hindi, but also Bengali, Malayalam, Gujarati, Kannada and others. This was the early 1990s and the “boom” in Indian fiction was in full swing. But, as we know, this was an English-only phenomenon. It seemed to me that something was missing. I knew from all the time I had spent in Delhi that the languages around me, at home and in the street, were Hindi and Punjabi. 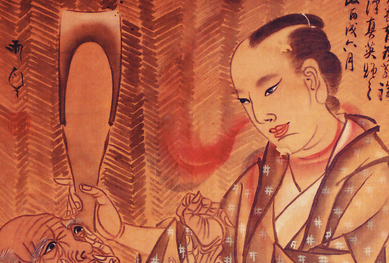 I wanted to find out what got lost – not in translation, but in transnational literary production. Why was India only being represented by English? Surely this writing existed in a multilingual context, but looking at how Indian novels in English were read and received in the U.S. and the U.K., you would never know it. VD: Do you feel you have to defend the place of English in India? RS: Not at all. Just about everyone will agree that English is a language of opportunity, aspiration, and exclusion – and not only in India, but in many parts of the world. There is a hierarchy of languages in different Indian contexts, depending on the languages in use, but even these hierarchies shift according to different situations. English is the language of the elite, but it can also be an underdog at times. Hindi is also a language of elites in that there is an elite discourse in Hindi. But Hindi is also popular in a way English is most certainly not. And yet, English more and more is “popularly” desired. It is a complex situation that seems simple on the surface. That’s what drew me to write about it. VD: Of the various situations and people you encountered in the years you worked on this project, which do you think provided you with the most immediate insight into the Hindi-English relationship in the nation’s capital? RS: Actually there is no one person or situation that encapsulates the relationship for me. What was fascinating for me while I was doing my research was how each person I spoke to offered a different angle on the question of language politics based on his or her work and personal history. Geetanjali Shree showed me a novelist’s intimacy with language and emotion, whereas the bookseller Amar Varma shed light on what it meant to promote Hindi books internationally. Ashok and Arun Maheshwari and then Ravi Dayal made the worlds of Hindi and English publishing appear like completely different ones with different histories, yet operating side-by-side. Ashok Vajpeyi and K. Satchidanandan were fascinating to listen to because they understood the politics of the multilingual literary landscape and helped shape them, yet as poets, they were also incredibly sensitive to the wide gap between the world of politics and that of contemplation and creativity. I was intrigued by how they dwelled in that gap. VD: Alok Rai, in his widely acclaimed Hindi Nationalism, dealt with quite another aspect of Hindi, the relationship of official “Hindi” to Hindi, as actually spoken. How do you place your work vis-à-vis his? RS: Alok’s book was foundational for me; it came out during my first major research stint in 2001 and became a kind of intellectual guidebook I toted around. It brought the political and cultural history of the Hindi-Urdu divide that Amrit Rai and Christopher King had written about in regards to the 19th and early 20th centuries, into the post-Independence context – with such passion and sense of immediacy. 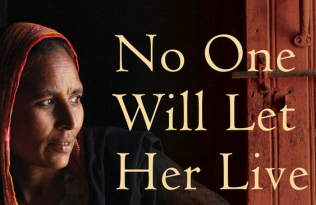 My book looks at the competition between English and Hindi elites from an ethnographic view. I interview figures from Delhi’s literary establishment and place them in relation to one another and the larger field of literature and politics. Perhaps because of my insider-outsider perspective, these figures stood out for me, even though they are mostly known and regularly featured in the Indian press. I make the ideologies that Alok Rai maps out come alive through contemporary figures in the literary world. 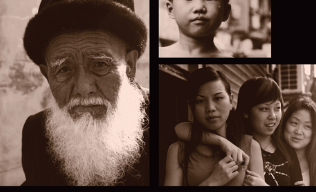 In the process, some of these ideologies get refined, re-tuned, debunked, or emboldened, enabling me to make new arguments about such vexing topics as cultural authenticity, literary nationality, and the postcolonial / global status of English. VD: Could you say something about the range of authors whose works you analyze? What moved you to include the works of Chetan Bhagat, a writer who would ordinarily be excluded from the galaxy? RS: The texts I write about emerge from what I saw and experienced “on the ground.” My book begins with me reading the slush pile at Granta in London, since that is how I very literally found my subject. In India, it was seeing books being sold on pavements and at stoplights that initially brought me into the realities of language, class, and caste. Living in Old Delhi for a time made me reflect more deeply on Delhi’s linguistic history and led me to write about Twilight in Delhi and In Custody. I wrote about the Hindi translation of A Suitable Boy (“Koi Accha-sa Ladka”) because it came up in a debate I witnessed at the Sahitya Akademi. I conclude the book by reflecting on Chetan Bhagat because it is impossible to ignore the impact he’s had on English in a popular context. His books draw readers into the “having made it” world of IITs, and aspirational worlds of call centers, bank jobs, and love marriages, through a more simple, manageable English. My book is motivated by the story of English vis-à-vis Hindi and the bhashas more generally, and Bhagat’s novels speak to that. I was also teaching at IIT Delhi when I wrote the conclusion to the book, so I was thinking about my students and the range of Englishes they spoke.